Ultrasound scans or sonography use a device that transmits vibrations with an ultrasonic frequency to waves to the organs. Those waves are either absorbed or bounced back to show an image of the subject on a computer screen. The sound waves are also referred to as “echoes,” hence the name echocardiogram. Ultrasound is a non-invasive imaging technique that many pet owners and veterinarians prefer because it does not use radiation. For a typical ultrasound exam, the animal lays on a padded table on its side, so the side of the chest where the organ that needs to be examined can can be exposed. A conductive gel is applied to a probe or transducer that is attached to the ultrasound. The veterinarian will then move the probe across the area that needs evaluating. Once the ultrasound waves are transmitted, an image should appear on the computer screen to create a 2 or 3 dimensional reconstruction of the organ. Results of the exam are shown in real-time, so the doctor will try to diagnose the patient immediately unless they need further consultation or a second opinion. Owners can expect the exam to last anywhere from 30 – 60 minutes. After an ultrasound, the vet may recommend another test, like a biopsy or x-ray, to further analyze the area of interest. Does my dog or cat need to be sedated before their ultrasound? No, most animals will not to be sedated before their ultrasound as long as they are comfortable and calm laying down on their side or stomach for the procedure. If your pet is jittery, you may want to discuss options with your veterinarian beforehand to prepare. For other exams that may follow the ultrasound, such as a ultrasound-guided biopsy, your cat or dog can be given a temporary anesthetic or sedative. Should I prepare my pet for their ultrasound? Whether you need to prepare your pet for the ultrasound depends on what they are getting it for. An ultrasound for a heart needs no special preparation, but an abdominal ultrasound requires 12 hours fasting beforehand. A urinary bladder ultrasound works better with a full bladder, so you may want to keep your pet from urinating immediately before the exam. The ultrasound does work better when the probe is applied directly to the skin, so if your pet has a lot of fur, you ask your vet if the area of interest needs to be shaved. 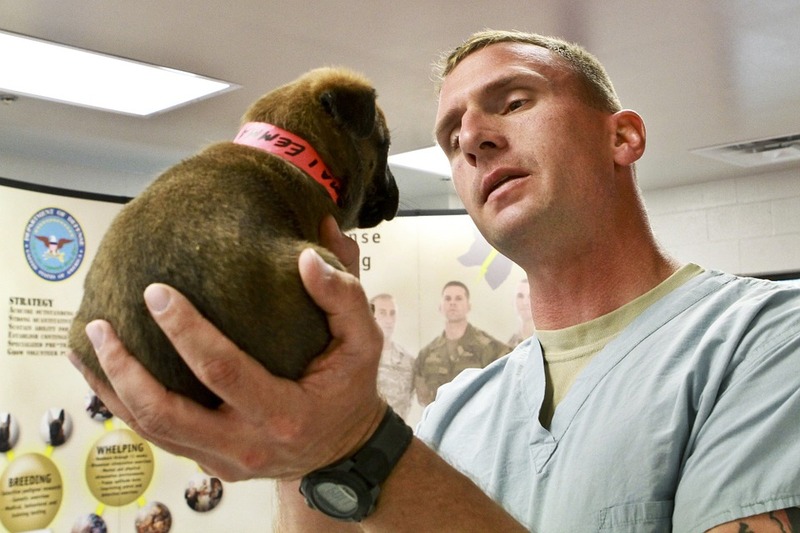 Each case depends on what your vet is looking for, so consult with them for better instructions. For humans, ultrasounds are often used to see the growth and development of babies while they are still inside the mother. However, ultrasounds have many other uses as well and one of those is in the veterinary field. Dogs and cats can benefit from ultrasound or cardiography tests to diagnose certain problems. At Bright Care Animal Emergency, we provide a full suite of veterinary equipment and diagnostic tools, including ultrasound/cardiograph, to ensure we’re able to treat our patients to the best of our abilities. An ultrasound, also known as an echocardiogram, is a non-invasive process used to check an animal’s internal organs. It’s commonly used to evaluate that organs such as the heart, stomach, eyes, and reproductive system are functioning normally. Ultrasounds are often used in conjunction with an x-ray for a comprehensive evaluation and diagnosis. Veterinarians use ultrasounds to find out if there is a problem with your dog or cat. Not only are they commonly used on humans, they are perfectly safe and widely used for animals as well. The ultrasound itself is a hand-held device that is pressed against the skin (usually with ultrasound gel) to capture accurate pictures of the inner organs. Animals who are suspected to have congenital or acquired heart disease often need an ultrasound for the veterinarian to confirm their diagnosis. The ultrasound gives a detailed image of the heart, allowing the veterinarian to see any birth defects, diseases, heart muscle problems, tapeworm, or tumors. Of course, the ultrasound can also be used on other parts of the body, such as the kidneys, uterus, liver, and more. If your dog or cat’s vet believes your pet is at risk of any of the following, they may use an ultrasound for a clearer picture of what’s going on. The only area that would be difficult to evaluate with an echocardiogram would be the lungs because of the air inside of it and bones which stop the waves. Our veterinary team at Bright Care will only recommend an ultrasound if it is necessary to diagnose a problem in your animal. The equipment and techniques we use are tried and tested, so there’s no need to worry about the safety or accuracy of the ultrasound. 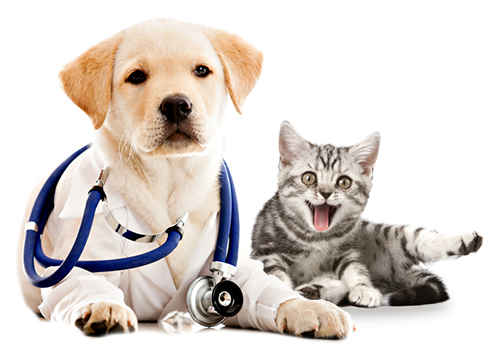 If you are concerned about your pet’s well being, our veterinary experts can help. Book an appointment online or walk in to our emergency veterinary center in Mission Viejo any time!